Provide your staff with somewhere safe to store their belongings while they work with staff lockers from Pattersons Bar Supplies. 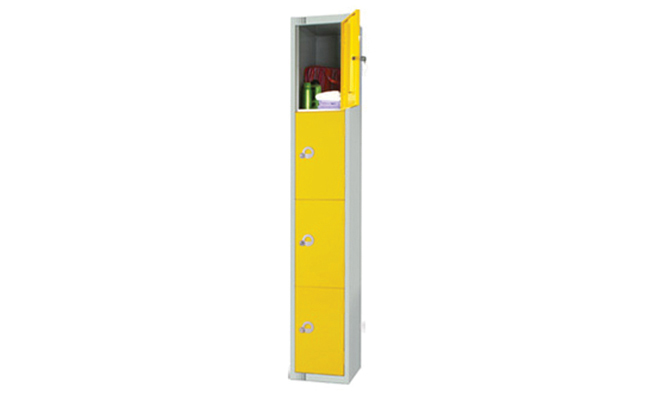 These single lockers are four-tier high and are a great addition for use in the back of house for bars and restaurants for staff use, but can also be used with schools for student or staff use. Buy lockers for staff from Pattersons Bar Supplies and while you’re here, browse our extensive bar equipment and bar supplies range. If you have any questions about these staff lockers, do not hesitate to contact our team of pub and bar product experts on 0117 934 1270 or email us at web@pattersons.co.uk. FREE UK delivery available on qualifying wholesale orders of bar supplies.